I realised earlier this week that I haven't done any 'What's in my Blog reader' posts for a little while. Since I still have a number of categories to yet to share, I had better pull my finger out and get started again. This week it is all about the photography. You know those blogs that you click on and straight away their images steal your breath and you just quietly but so slowly scroll through the photos trying to absorb it all? Well I'm talking about those types of blogs today. Most of them are obviously not restricted to having only photos in their posts. The words are there too, beautiful words to compliment the imagery. But it's the photography on these blogs that truly inspire me. The ways they capture a moment, a thought, a look or the light. They make me want to pick up my camera and capture the beauty that is in the most simple of things that we usually overlook every single day. I have to confess that I am often a bit of a silent lurker at these sites, only because I feel almost self concious and awkward, I feel almost intrusive if I were to comment, like I have been caught spying on a private moment. I know that is absolutely and insanely ridiculous, these bloggers and photographers so deserve to hear how wonderful I think their images are. But just like I have always been unco and clumsy and at a loss for words when I speak to a really hot guy, I get the same reaction with these gorgeous bloggers and photographers. 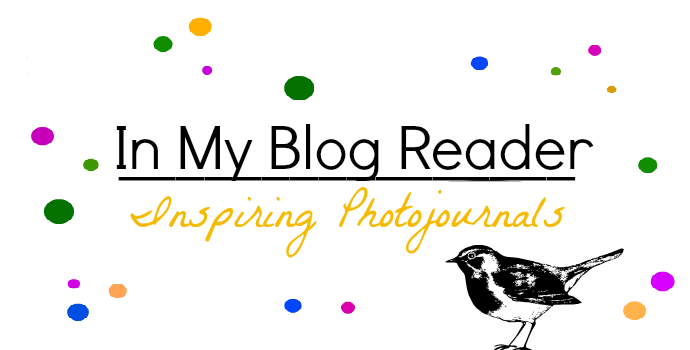 These are just some of the Photojournal Blogs in my reader, I will add the rest in the side bar really soon. As always click on the name or the image to go to their sites. Oh and I hope that the artists / bloggers don't mind me naively categorizing them as Photojournals as I'm not sure if that is the PC thing to do, but it is how I label them in my reader. Regardless of all of my ramblings - Please Just Enjoy. Do you have a photography blog I should visit or do you know of another beautiful photographer or photojournal blog I should check out?